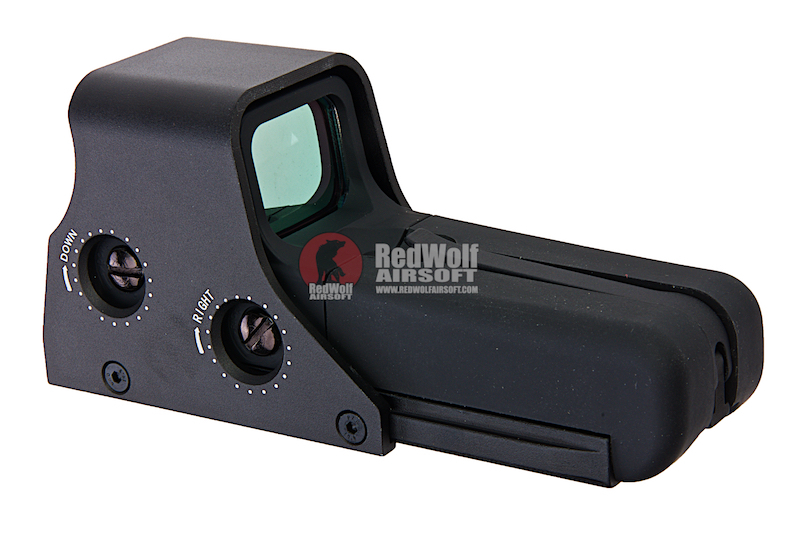 The GK Tactical 552 Open Red Dot is a rugged, raised base optic developed for combat situations. 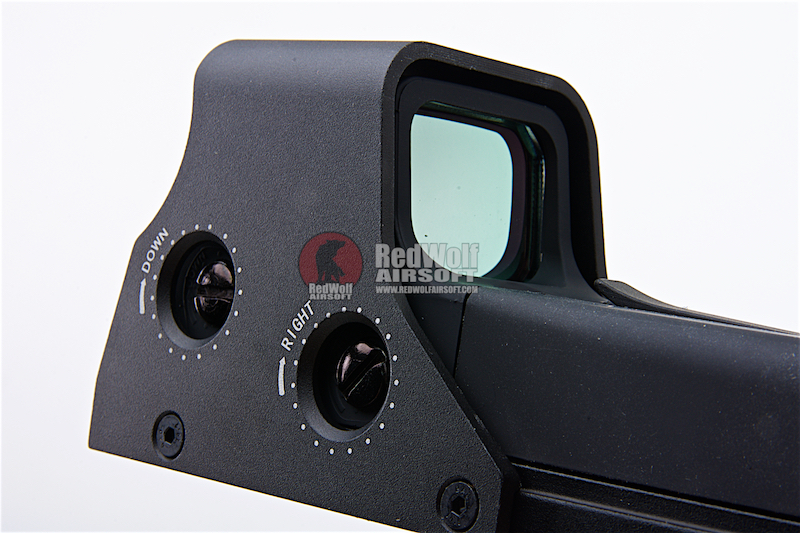 Featuring a red dot reticle, rugged construction, unlimited eye relief. 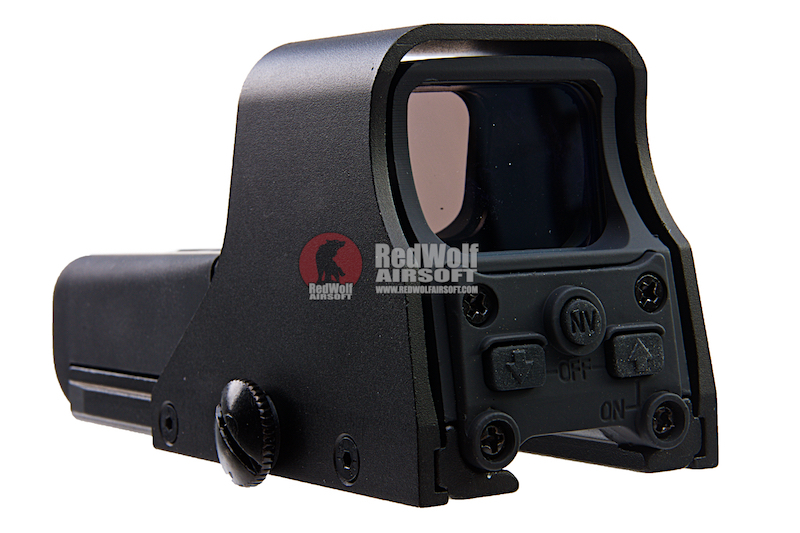 This sight is perfect for shooters wanting CQB speed and versatility, without the need for night vision compatibility. 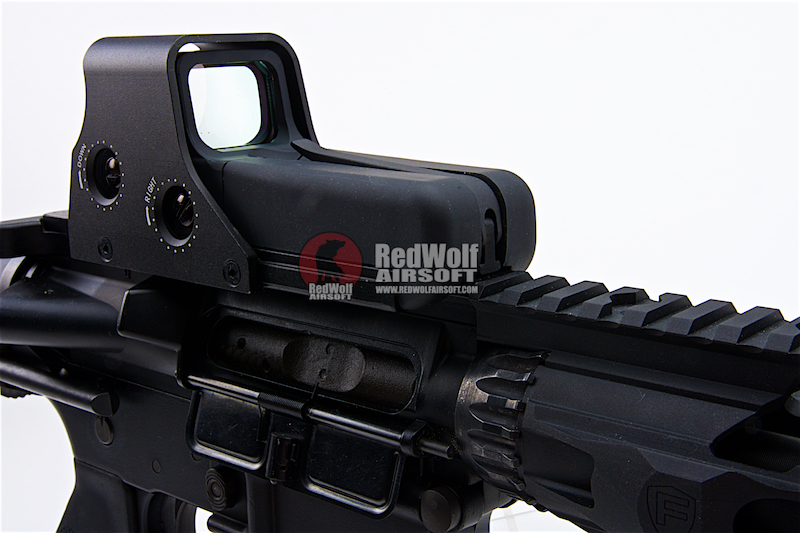 A portion of the front base has been raised to allow the sight to fit over A2 style handguards found on many M4 or M16 style weapons.The 552 has the controls moved to the rear side. 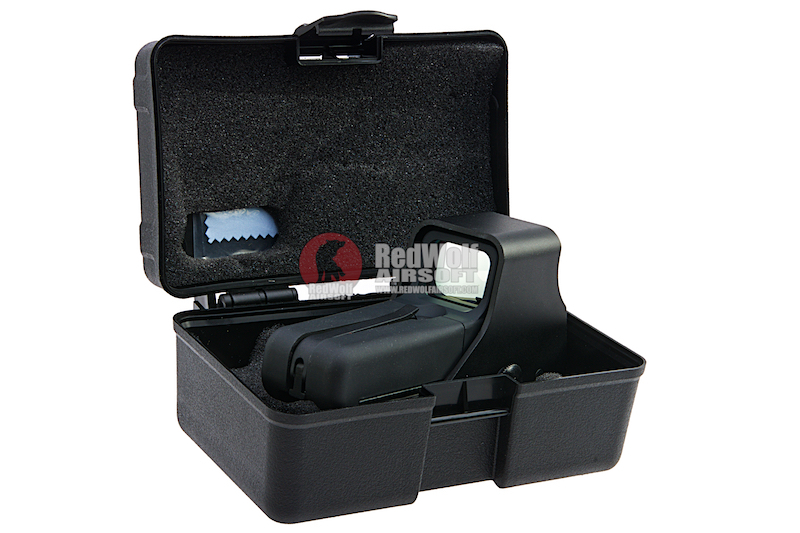 This, in combination with the raised base is designed specifically to work with magnifiers. 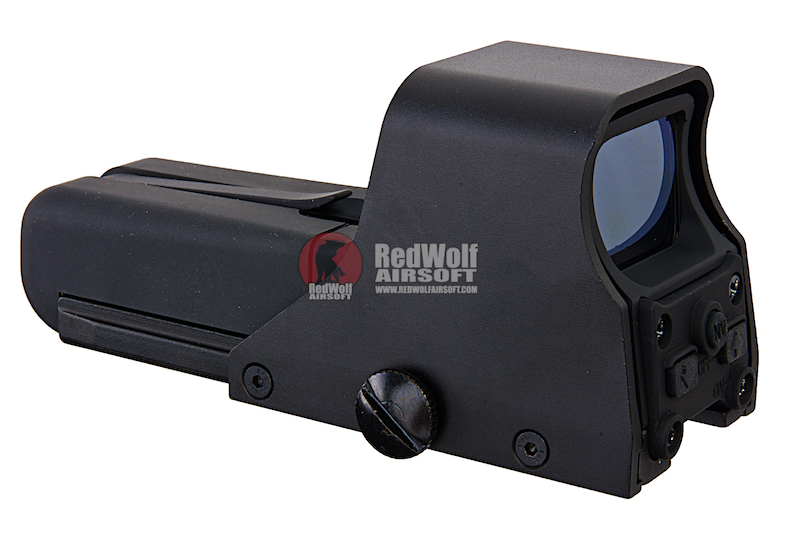 With unlimited field of view and eye relief nothing gets you on target faster than this tough red dot scope. Switching between red and green dot for optimum contrast with surroundings is a breeze, the brightness can also be adjusted via the dial. With its illuminated red dot it quickly catches your eye, making aiming fast and easy, thus delivering accuracy that is next to none. 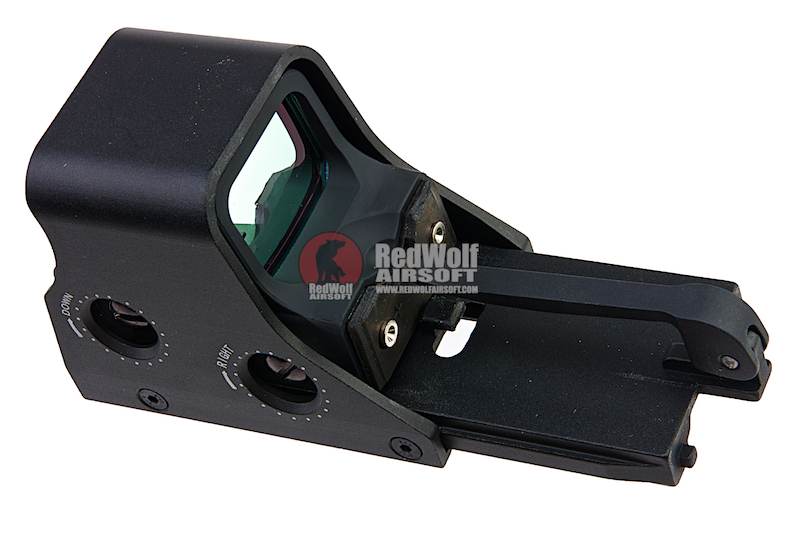 With a durable aluminum construction, hard anodized surface, this sight is versatile and ideal for most rifle or smg weapon types.